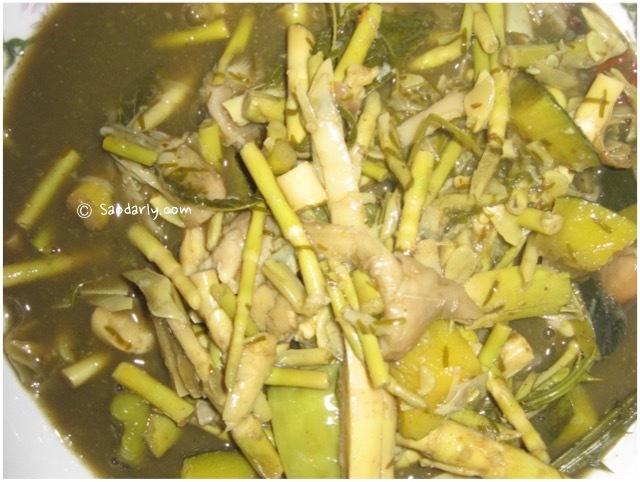 This is a traditional dish and each person has his or her own ways of making it by adding ingredients such as mushroom, sponge gourd, pumpkin, or pumpkin blossoms, and herbs such as Phak Kha or Rice Paddy Herb to the soup. The soup is pretty much based on what’s available during the seasons and can be all vegetables or with fish or meat added. 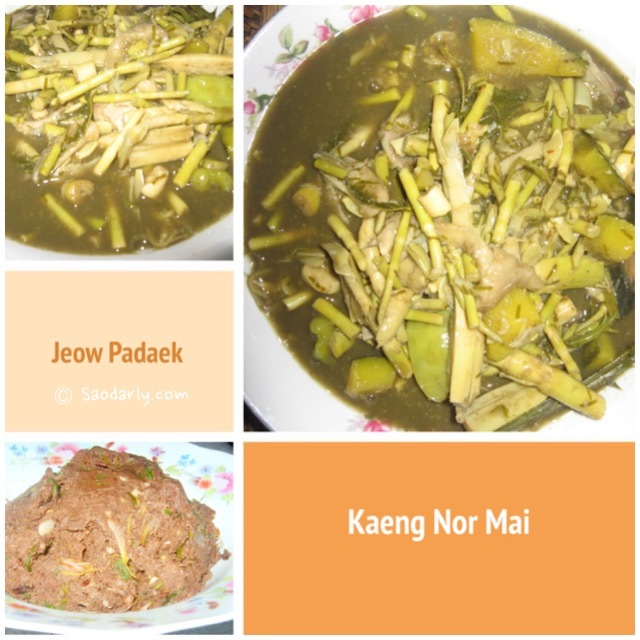 It won’t be a complete meal without plenty of fresh steamed sticky rice served on the side with spicy fermented fish dip aka Jeow Padaek.